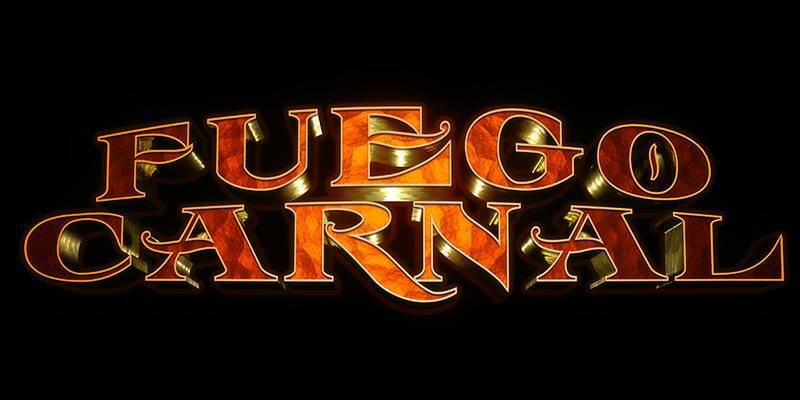 Fuego Carnal is a heart racing display of strength, skill and sauciness. 2016, 2017 and 2018 saw it win 5 star reviews, awards and the hearts of those who saw it. Fuego is Spanish for fire and this is the thread that holds the show together. Creating a vibe rich in subterranean spice the cast (with a dash of new), flirt with extreme circus fire, the audience, aerials, & acrobatics, masterfully pirouetting with danger at death-like-degrees. This high risk spectacle produced by internationally acclaimed Dream State Entertainment (AKA Dream State Circus) is combined with stunning sound and visuals by world renowned music producer Dustin Bint "The Alchemist"; and offers pure exhilarating entertainment! “THIS is Circus flambé indeed, full of the wow factor that takes circus well out of the ordinary★★★★★ The Advertiser 2017. “A roller coaster of wild stunts, exotic beats, mesmerising flames, packed full of magical jaw-dropping moments, fuelled by sensual choreography and a wicked sense of humour”. ★★★★★Scenestr. 2017. "An intense burst of energy, highly recommended for anyone who is keen to see something new" - THE CLOTHESLINE, 2016. 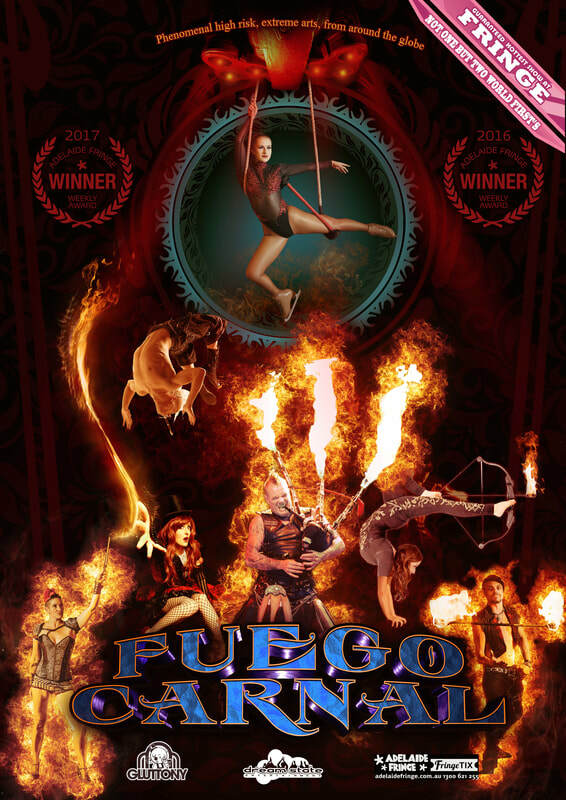 Fuego Carnal world premiered at the Adelaide Fringe Festival Feb\March 2016, a cast of 6 globally renowned fire manipulators, aerial acrobats, cyr wheel acrobats, and human balancers at home in their own purpose built venue the Empyrean. So keep an eye out to see when this show is next performing near you and experience safely from the edge of your seat extreme circus up close and very, very personal. 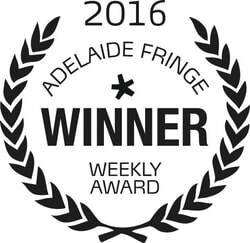 It was a smash hit in 2017, and was in the top 10 best selling shows for Adelaide Fringe, winning the Pick of Fringe weekly award. ​2018 it was nominated in the top 10 of must see fringe shows and received many 5 star reviews. Our line up for 2019 is AMAZING.. we are so excited to be presenting not only at Adelaide Fringe but also at Fringe World in Perth Western Australia !! ​The Diamond Duo, Calin & Arwen, brother & sister act from the USA, now residing in Australia. At only 14 & 11 years old, they have grown up on different stages, performing all over the world. At the tender age of two, Calin & Arwen performed their first magic trick to an audience of over 500. Captivating the audience with their skill, humor and cuteness. The performing duo have learnt from & performed with some of the world’s biggest names in stage, circus & magic, including Master Magician, Lance Burton, at the Monte Carlo Resort & Casino in Las Vegas. The Diamond Duo have already achieved what many performers have only ever dreamed of. Captivating audiences of all ages and all walks of life, with over 3,000 shows worldwide. This dynamic duo will capture your heart & mind with breathtaking acrobatics, astonishing illusions, audience participation & a tongue-in-cheek humour that will leave you spellbound. Working with Dream State Entertainment to create magic, wonder & joy. Step into a world of wonder and fantasy as two worlds collide. A child is transported magically into the world of Faeries and Elven Rangers as they try to save their world from destruction. 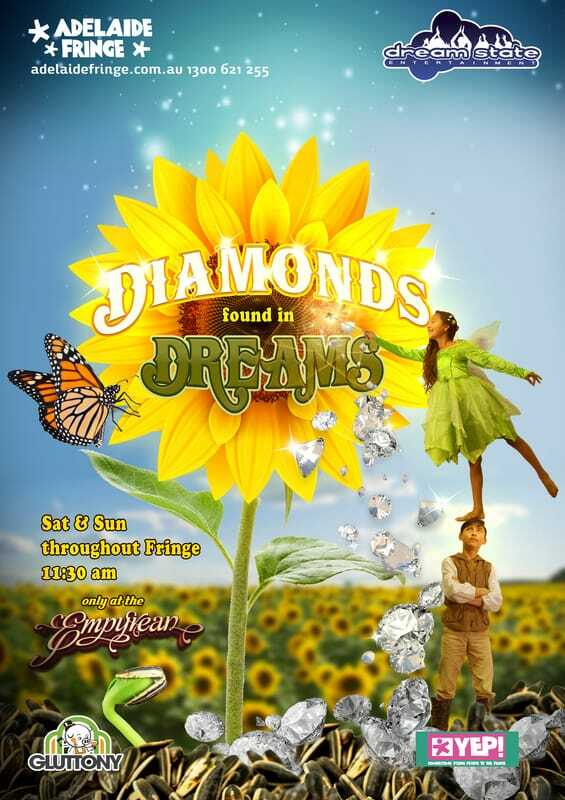 Premiering at Adelaide Fringe Festival 2017, a delightful new collaboration between multi award winning performers Dream State Entertainment and the young sister and brother act, the Diamond Duo, in a fantasy filled production. Combining their impeccable skills, woven together to create an enchanting stage production filed with high intensity ground and aerial acrobatics, hilarious slapstick comedy, amazing juggling feats, spectacular fire and magic! Finally, a show for all the family. One that will bring out your inner child, and make the impossible possible, teaching everyone how to create some of their own magic. This show comes with educational material and the chance to be part of bigger projects, if you would like to keep informed of these opportunities please join the Diamonds Found in Dreams newsletter. Have you ever had a passionate discussion with your partner, and then wanted to throw something sharp, hot, or dangerous at them? Welcome to a day in the life of award winning duo Sophie and Jacob McGrath. Cutting, witty, with skills to match, this show is a brilliant balance between comedy & danger. Will he survive another round? Can he be taught?